Jocelyn Quivrin (14 February 1979 – 15 November 2009) was a French actor. He had a supporting role in the critically acclaimed film Syriana . Syriana is a 2005 American geopolitical thriller film written and directed by Stephen Gaghan, and executive produced by George Clooney, who also stars in the film with an ensemble cast. Gaghan's screenplay is loosely adapted from Robert Baer's memoir See No Evil. The film focuses on petroleum politics and the global influence of the oil industry, whose political, economic, legal, and social effects are experienced by a Central Intelligence Agency operative, an energy analyst, a Washington, D.C. attorney, and a young unemployed Pakistani migrant worker in an Arab state in the Persian Gulf. The film also features an extensive supporting cast including Amanda Peet, Tim Blake Nelson, Mark Strong, Alexander Siddig, Amr Waked, and Academy Award winners Christopher Plummer, Chris Cooper and William Hurt. Jocelyn Quivrin was born in Dijon on 14 February 1979. His father, Vincent Beaufils, was an anaesthetist for SAMU (a mobile accident unit). 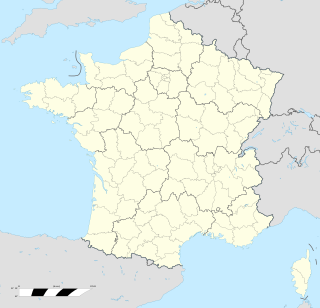 Dijon is a city in eastern France, capital of the Côte-d'Or département in the Bourgogne-Franche-Comté region. Emergency medical services in France and Luxembourg are provided by a mix of organizations under public health control. The central organizations that provide these services are known as a SAMU, which stands for Service d'Aide Médicale Urgente. Local SAMU organisations operate the control rooms that answer emergency calls and dispatch medical responders. They also operate the SMUR, which refers to the ambulances and response vehicles that provide advanced medical care. Other ambulances and response vehicles are provided by the fire services and private ambulance services. Quivrin studied film and broadcasting at Hector Berlioz college in Vincennes, before obtaining his Baccalaureat in literature and taking a course in film studies at Nanterre University. However, he soon gave up his studies in favour of launching his professional career. He spent several months at the 'Ecole des Enfants Terribles' drama school and took some further education courses. In spite of this, he always considered himself as having been self-taught. Vincennes is a commune in the Val-de-Marne department in the eastern suburbs of Paris, France. It is located 6.7 km (4.2 mi) from the centre of Paris. It is one of the most densely populated municipalities in Europe. Quivrin's film debut came at a young age, when he played the Duke of Anjou, one of the main characters, in Roger Planchon's Louis, enfant roi (1992). The film was selected for the 1993 Cannes Festival, where Quivrin was introduced to his first agent. He appeared in several costume dramas, including Lautrec by Roger Planchon and Daniel Vigne's L'enfant des lumières in 2002, opposite Nathalie Baye. He also played the Count of Nansac in Jacquou le crocant , a film by Laurent Boutonnat, set in the nineteenth century. In 2007 he played the young Louis IX in Jean de la fontaine, le defi . 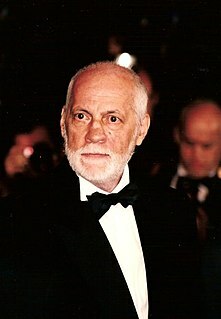 Roger Planchon, was a French playwright, director, filmmaker. Lautrec is a commune in the Tarn department in southern France. Nathalie Marie Andrée Baye is a French film, television and stage actress. She began her career in 1970 and has appeared in more than 80 films. A ten-time César Award nominee, her four wins were for Every Man for Himself (1980), Strange Affair (1981), La Balance (1982), and The Young Lieutenant (2005). In 2009, she was made a Chevalier of the Legion of Honour. Her other films include Day for Night (1973), Catch Me If You Can (2002), Tell No One (2006) and The Assistant (2015). Quivrin then appeared in L'Outremangeur and in Grande Ecole . In 2005 he landed the part of Detective Nerteaux in the big-budget film L'empire des loups alongside Jean Reno. It was a huge commercial success and boosted Quivrin's career. Juan Moreno y Herrera-Jiménez, known as Jean Reno, is a French actor of Spanish descent. He has worked in French, English, Japanese, Spanish, and Italian productions, and appeared in films such as Crimson Rivers, Godzilla, The Da Vinci Code, Mission: Impossible, The Pink Panther, Ronin, Les visiteurs, The Big Blue, Hector and the Search for Happiness and Léon: The Professional. Quivrin made his first television appearance as Babar in Les compagnons de l'aventure: Lola et les sardines , which featured a group of children on holiday in the 1990s. In 2001 he gained a certain notoriety in the eyes of the French public, playing the title role in Rastignac ou les ambitieux , Alain Tasma's TV adaptation of the novel by Honoré de Balzac. Quivrin's performance was highly acclaimed and the newspapers were full of praise. Le Figaro called him “flamboyant” while Le Monde found him “extremely seductive”. He consequently received the award for Best Actor at the Television film festival in Luchon. At the same time as pursuing his career in television and film, Quivrin was also acting on stage. In 2003 he played Lord Darlington in Lady Windermere's Fan by Oscar Wilde, along with Caroline Cellier and Melanie Doutey, directed by François-Louis Tilly. He appeared at the 2008 Avignon Festival in Do you love me? a play by Redjep Mitrovistas. Quivrin had supporting roles in two internationally successful, Oscar-winning films: Elizabeth (1998) and Syriana (2005). In 99 francs , Jan Kounen's adaptation of the eponymous novel by Frédéric Beigbeder, Quivrin tackled his first comedy role. He played the colleague of Jean Dujardin, an arrogant, depressive advertising executive. His performance was deemed “excellent” by Le Monde and earned him the Prix Lumière for Most Promising Male Newcomer, the Patrick Dewaere prize and a César nomination for Most Promising Male Newcomer in 2008. In 2006, Quivrin wrote and directed a short film entitled Acteur , which was intended to be both anecdotal and representative of the life of an actor. The film is centred on a conversation between a female director and an auditioning actor and, according to Quivrin, deals with “the clear separation you have to make between your personal and professional lives”. The character of the director, played by Nathalie Baye, was inspired by Catherine Breillat, whom he had met at several auditions. In 2007, he played "The Nansac's Count" in the film Jacquou Le Croquant , realised by Laurent Boutonnat. In 2008, Quivrin appeared in the film LOL with Sophie Marceau, Christa Theret and Jérémy Kapone and, a year later, in À l'aventure by Jean-Claude Brisseau and Incognito with the singer Bénabar and the actor Franck Dubosc. Quivrin's penultimate film, La famille Wolberg was released in France in December 2009. His final film, Ensemble, c'est trop by Léa Fazer, was released in France in February 2010. Mylène Jeanne Gautier, known professionally as Mylène Farmer, is a Canadian-born French singer, songwriter, occasional actress, writer, and entrepreneur. She was born in Pierrefonds, Quebec, to a French family, and brought up in France. Marie-Josée Croze is a French Canadian actress. She also holds French citizenship, which she obtained in December 2012. Sarlat-la-Canéda, or simply Sarlat, is a commune in the Dordogne department in Nouvelle-Aquitaine in southwestern France. Michel Serrault was a French stage actor and film star who appeared from 1954 until (including) 2007 in more than 150 films. Grande École (2004) is a French film, directed by Robert Salis. The movie is about education, class, race and homosexuality. Adapted from a stage play by Jean-Marie Besset. 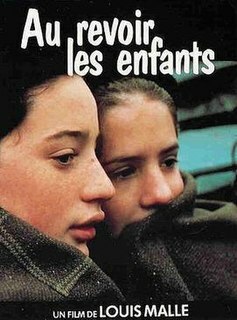 Au revoir les enfants is an autobiographical 1987 film written, produced and directed by Louis Malle. The film won the Golden Lion at the Venice Film Festival. Empire of the Wolves is a 2005 movie directed by Chris Nahon, written by Christian Clavier, Jean-Christophe Grangé, Chris Nahon and Franck Ollivier, and starring Jean Reno, Arly Jover, and Jocelyn Quivrin. Laurent Pierre Marie Boutonnat is a French composer and film and music video director, best known as the songwriting partner of Mylène Farmer and the director of several groundbreaking music videos. Strange Affair is a 1981 French drama film directed by Pierre Granier-Deferre, and starring Michel Piccoli, Gérard Lanvin and Nathalie Baye. Alice Taglioni is a French actress born in Ermont, Val-d'Oise. Jacquou le Croquant is a 2007 French historical film, based on the 1899 novel by Eugène Le Roy and on the 1969 TV serial Jacquou le Croquant. Set in the Dordogne during the Bourbon Restoration, it tells the story of a young peasant who leads a revolt against an evil nobleman. It was nominated for two César Awards in 2008. Lisa Gautier is a French dancer, actress and singer. She is Michel Gautier's daughter and Mylène Farmer's niece. Louis, the Child King is a 1993 French drama film directed by Roger Planchon. It was entered into the 1993 Cannes Film Festival. LOL is a 2008 French comedy film directed by Lisa Azuelos and starring Sophie Marceau, Christa Theret, and Alexandre Astier. Written by Azuelos and Delgado Nans, the film is about a teenage girl whose life is split between her studies in a Parisian high school, her secret diary, her parents, her friends, and her boyfriends. Christa Theret received a César Award nomination for Most Promising Actress in 2010. 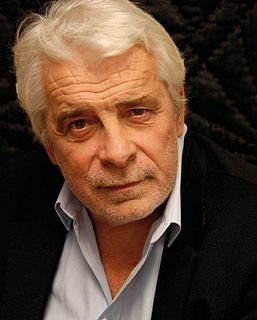 Jacques Weber is a French actor, director and writer. Jacquou le Croquant is a 1969 French miniseries in 6 episodes: five 90-minute episodes and one 120-minute episode. The series was directed by Stellio Lorenzi and aired from October 4, 1969 to November 8, 1969 on Office de radiodiffusion télévision française channel 1. Léo Legrand is a French actor. He is best known for playing the role of Thomas in Trouble at Timpetill and playing the role of Thomas Verniaz in A Distant Neighborhood. The latter film earned him a Young Artist Award nomination in the category of Best Young Performer. Eugène Le Roy was a French author. A.-M. Julien, real name Aman-Julien Maistre, was a French actor, singer and theatre manager. ↑ Décès de Jocelyn Quivrin: "Il est mort sur le coup"
↑ Jocelyn Quivrin s’est tué en voiture Archived 2009-11-19 at the Wayback Machine. ↑ "Johnny parle. Jocelyn Quivrin : La mort tragique". Paris Match . 18 November 2009. Retrieved 25 May 2010. Wikimedia Commons has media related to Jocelyn Quivrin .